The Smiley Market is one of three new farmers markets in Durango. Max Kirks, left, owns High Pine Produce and manages the market. He describes it as an entry point for farmers interested in getting into Durango’s marketplace. 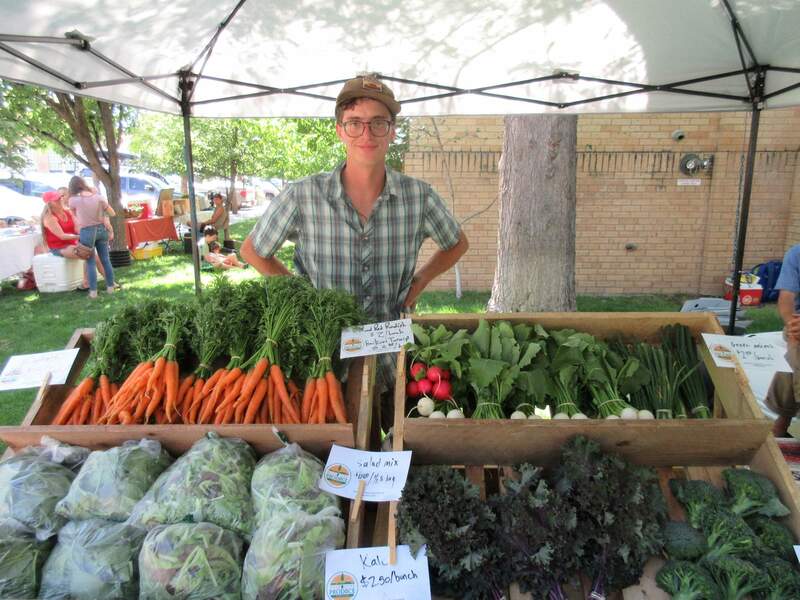 Max Kirks and High Pine Produce bring assorted vegetables to the Smiley Market on Tuesdays. In addition to two produce stands, customers can also currently find eggs, meat and flowers at the market. Gracie Timmerman owns Nova Fields, which is in its first year. Both Nova Fields and High Pine Produce are participants in the Old Fort Market Incubator Program. In the past year, Durango’s farmers market scene has exploded, growing from one to four markets in the city. Joining the Durango, Animas City and Three Springs markets is a new market at the Smiley Building downtown. Max Kirks, the owner of High Pine Produce and the market manager at the Smiley Building, has set up a booth for the past two years to pass out community-supported agriculture boxes. This year, he said, he decided to tag on more vendors and make a small farmers market out of it. 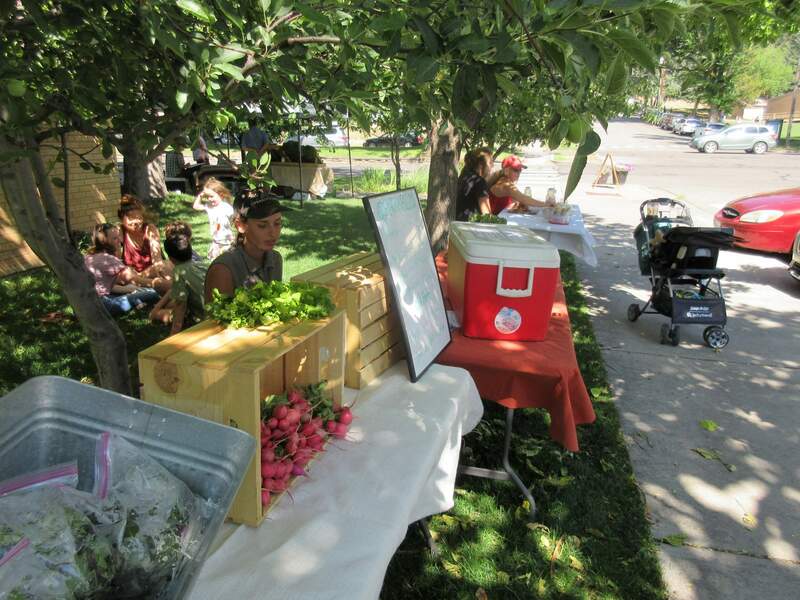 The market, on Tuesdays from 3 to 6 p.m., wraps around the southeast corner of the building at 1309 East Third Ave. In addition to vegetables from High Pine Produce and Nova Fields, the market also has grass-fed beef and pork from the Old Fort, fresh eggs from the Veterans Homestead Project and floral bouquets from Passion Flower. The market will run around 18 to 20 weeks this year. It started the second week of June and should last through the second week of October. Both High Pine and Nova Fields are participants in the Old Fort Market Incubator Program, which is designed to provide a point of entry for beginning farmers in the region. Kirks sees the Smiley Market as providing a similar platform. Gracie Timmerman, owner of Nova Fields, said the Smiley Market is nice because of its variety, size, availability of shade and time. Kirks said that this year’s Smiley Market is sort of a trial run. “This is sort of a demo year to see if we can get enough hype and see if producers are enjoying it,” he said. In future years, the market has room to expand and add music and prepared foods, he said. 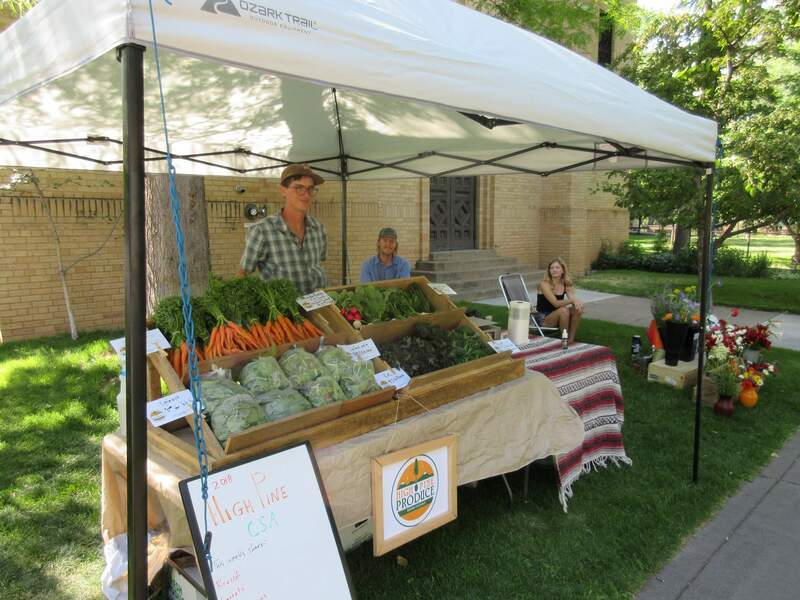 Edit Aquarian with the Veterans Homestead Project said that the expanding number of farmers markets in Durango is exciting because customers are not limited to one market.